Even after the keynote took place yesterday evening, Nokia has been around the CES show floor revealing more and more information on their coming products. We have all the best information rounded up for you just continue reading below. Beginning with the Nokia Lumia 710, we remind everyone that it will be available in the United States tomorrow January 11, 2012 at a price of $49.99 in all Nokia stores along Wal-Mart, Costco and Target on the T-Mobile 4G network. The Lumia 710 is a low entry device created by Nokia for newcomers to the smartphone world specifically. The phone still boasts some great specifications which would be found in any other great smartphone that already exists, including some exclusive Nokia applications such as Nokia Drive, Nokia Maps, the ESPN Hub, CNN and more coming soon. The Lumia 710 will use T-Mobile’s 4G network and will also come preloaded with the T-Mobile TV application. You can find the first Nokia Lumia 710 T-Mobile ad below. The Nokia Lumia 710 will be available in Canada in February as announced by Nokia Canada! The Lumia 710 will be offered by Rogers Communications at $49 with two year contract. The Nokia Lumia 800 will also release in Canada (no mentioned release date) exclusively through TELUS, available in all three colors of black, magenta and cyan. Both phones will offer the Nokia Drive application and functionality. 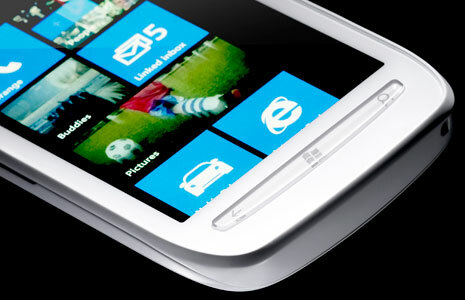 The Nokia Lumia 710 will also release in the United States with the capability of changing the back cover of the phone. That’s right, interchangeable back covers! 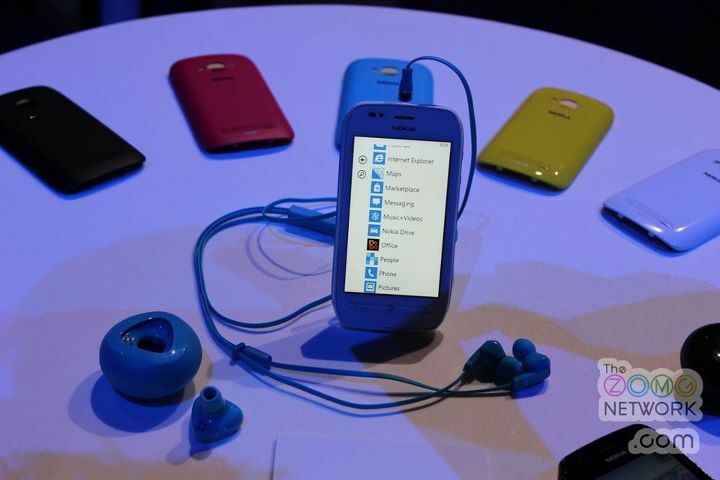 As shown off by Nokia on Facebook earlier today you can find the picture below of the covers on display. The colors black, white, cyan, magenta and yellow will be available for purchase separately. In a quick video preview of the Nokia Lumia 900 an unkown Nokia employee (only assuming) handled the device. There was nothing shown off that you shouldn’t already know if you read our Nokia CES coverage yesterday, but at one point in the video she did mention that the “exclusive” (and elusive) Nokia applications would be available only on Nokia devices she “thinks up to 18 months” after release. Now, considering she barely knew how to handle the new device, which is no excuse considering the Windows Phone software is the same on all phones, we want to remind you to take this information lightly until official information releases. She also mentioned the 18 month contract while showing off the ESPN and CNN applications, therefore we are unaware if it applies to Nokia Drive and Nokia Maps. During the Microsoft keynote late yesterday Steve Ballmer closed by mentioning the Nokia Lumia 800 will be available in the United States as an unlocked device in the coming months. “There’s no carrier support — you’ll be buying an unlocked handset — but it’ll be available from Microsoft’s stores in the coming months.” The Verge No pricing or release date given. Our final news wrap up comes as a small Facebook hack discovered by Rudy Huyn. 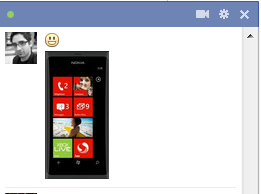 The hack allows you to send a picture of a Windows Phone (small or large) to your friends via Facebook chat. It doesn’t work as a status update or anywhere else. Try it out for yourself with the codes below, simply copy the code, paste it into your chat window and send the message. Go ahead, brag to all your friends that you have a Windows Phone, or convince them to get one (spam is not encouraged we swear)!